Near the end of 2013 a friend from Penang sent me a Christmas card and mentioned that she was teaching my short story “Mat Salleh” from my collection Lovers and Strangers Revisited for her reading class at UiTM. I then realized that 2013 was the 20th anniversary of the original publication of Lovers and Strangers (Heinemann Asia, 1993). Although I’m posting this a little late, I have a strong feeling I haven’t heard the end of these stories for years to come. In 2005, a colleague at Universiti Sains Malaysia where I taught creative writing informed me that he was not only teaching my story “On Fridays” in his post colonial course on Singaporean and Malaysian Literature but also planning to teach the collection in the following semester. Since the book had gone out of print, I contacted Silverfish Books (I was the editor for their Silverfish New Writing 4) and they agreed to re-publish the book. Having revised the stories numerous times since its initial publishing, I wanted something more; so I revisited (and overhauled) each story—adding new openings, new endings, new back stories, even doubling several stories in length, which I wrote about in the introduction and then added the word ‘revisited’ to the title. The first book launch in 1993 was organized by Penang Players (I used to be the stage manager for several of their productions and critiqued many of their plays prior to their performance.) Penang Players not only sponsored the book launch they also read extracts from four stories and did a delightful play reading of One Drink Too Many, a comedy that I wrote based on the short story “Neighbours”, thus turning a simple book launch into a literary event attended by over 100 people. In 2007, after moving to Sarawak, the Malaysian part of Borneo, I encountered some distribution problems, so I agreed to buy out the last of the stock from Silverfish and switched publishers to MPH (2008), followed by another round of editing and adding two stories. I also created the blog series, The Story Behind the Story, for each of the 17 stories, separating fact from fiction and noting the significant changes that led to their various publications. Here’s the publication breakdown by story with a link to each The Story Behind the Story (except for “Moments” which was dropped for the revisited collection). *Updated, total publication of 17 stories, 81. Over the years many students have contacted me about that story via my website or facebook. When I mentioned to one student whose class was adapting “Neighbours” into a play that I would be attending the Popular Bookfest in Kuala Lumpur the following week for Tropical Affairs, nominated for the 2010 Reader’s Choice Award, her teacher, Christina Chan organized a field trip bringing about a dozen students to meet me. She said it was a rare opportunity for students in Malaysia to meet the writer of a story that they were currently studying (most had either passed away or lived overseas). 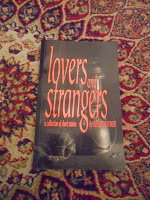 Back in 2006 the collection Lovers and Strangers Revisited (and unfortunately the author) was even psychoanalyzed by a Malaysian academic at a short story collection conference in the UK. As a writer, it’s imperative to develop a thick skin; it also comes in handy for reviews. Thanks to LSR, I’ve been interviewed several times in magazines, newspapers, and online. I was even put on national TV along with my friend Georgette Tan, who earlier had given me a nice review in The Borneo Post. Together we appeared on Kuppa Kopi with Sharnaz Sabera. In 2007, in reaction to a blog post by the Malaysian author Lydia Teh about publishing books in Malaysia, I posted a rather lengthy comment based on my experiences of publishing this collection in both countries, then I used it as the first posting for my own blog, Borneo Expat Writer. Then in 2009, as part of publicity for LSR, I had been asked to write a short story for Going Places, Malaysia Airlines in-flight magazine for their August Merdeka (Independence) edition along with Lydia Teh and Tunku Halim, both successful authors in Malaysia whom I had yet to meet. Accepting the challenge, I quickly came up with an idea and an opening for “Merdeka Miracle”. The three of us furiously sent emails back and forth between Kuching, Kuala Lumpur and Paris and London (where Tunku was travelling with his family) to craft a first draft and then revised it daily, about twenty times, to meet the tight deadline. Later, at the same K.L. Bookfest where I met the students and their teacher, I finally got to meet Lydia Teh. Lydia Teh and Robert Raymer and "The Merdeka Miracle"
I’m sure the success and the publicity surrounding Lovers and Strangers Revisited, which had just won the Popular Reader’s Choice Award, was largely responsible for me being named one of “50 Expatriates You Should Know” by Expatriate Lifestyle (January 2010)—quite an honor since most of the other expats were diplomats, celebrities, or leaders in their industry and mostly living in Kuala Lumpur, while I taught creative writing, gave workshops, and wrote books in Sarawak. Robert Raymer standing between nominated writers Yvonne Lee and Adeline Loh. In 2011 Editions GOPE translated Lovers and Strangers Revisited into French and published it as Trois autres Malaisie, which means "Three Other Malaysia". Then Ohio University School of Arts, Media & Studies turned my story “Home for Hari Raya” into a film, shot in Malaysia in December 2012/January 2013. The 24-minute film can now be seen on YouTube. Twenty years has gone by quickly, but the stories in that original Lovers and Strangers collection have come a long way since 1993. And for 2014, its 21st year, we’ll just have to wait and see what happens next. 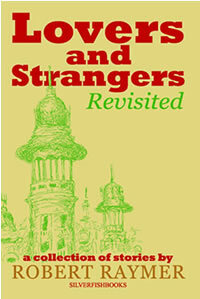 *Update, Lovers and Strangers Revisited is now the subject of a dissertation, titled "The Use of Malaysian English in Robert Raymer's Short Stories". Nice title! **Novella in finals of 2014 Faulkner-Wisdom. Amazon Breakthrough Novel Award is Back for 2014!